Impression Technology Europe (ITE) has launched the LF350 to follow in the footsteps of the Eclipse LF3. ITE said the Eclipse LF3 has been a worldwide success, and led its research and development team to develop the larger, floor standing LF330, which could handle media widths up to 330mm, compared to 220mm on the LF3. The LF350 is capable of handling web widths between 100mm and 350mm, and also features a paper out sensor, built-in cutting light and can ability handle a maximum label length of 800mm. 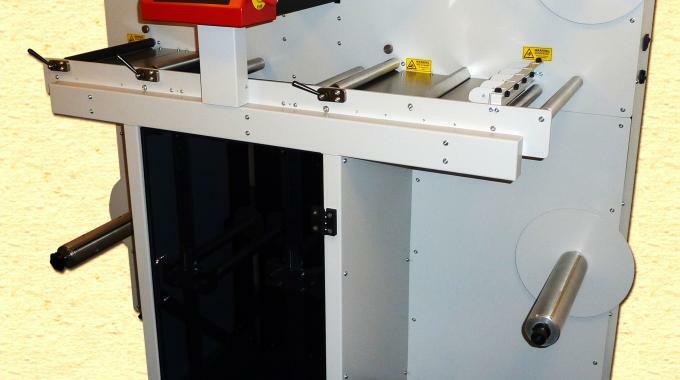 As with the LF330, slitting is handled by, up to, five separate knives and the independent twin cutting heads can produce, up to, 10.2m of finished labels per minute. The twin cutting heads are complimented by double reversible rewinds. Where lamination is concerned the LF350 handles self or supported types and also has full waste matrix removal.